Can't wait, I've missed your posts! Stay safe! Sandra is supposed to be a humdinger!! Wow, that's quite a picture. That kind of weather is perfect for snuggling up with a furry companion and watching movies.....or catching up on blogging. :-) Hope the nasty weather isn't too much of a PITA for you and yours! Can't wait to hear and see all the news...pony ocean swims? Hope your storm is not so furious - worried here too! Stay safe and let us know how you are doing. I think you will be getting it a lot worse than we will. I worry about you and everyone else in your care. Looking forward to an update on your funcation! Batten down, and stay safe! Riding out hurricanes is no fun, no matter how many times you've done it. Let us know that you're OK, please! Stay safe lady! I'll be thinking about you and all the other Northeasters, and hoping the hype is way over-blown. Take care! I thought of you today, thinking you'd have brought Val inland if you thought things were going to get truly dicey! Sending a nice safety force field all the way around your place until this mess passes! Best wishes as you weather the storm. We will be doing the same as the radar predictions for our area is not pretty. Human swim - pony hasn't come to terms with moving water yet! We're snug up here in the woods. Now that I live on site things are much simpler. Thanks for the force field! 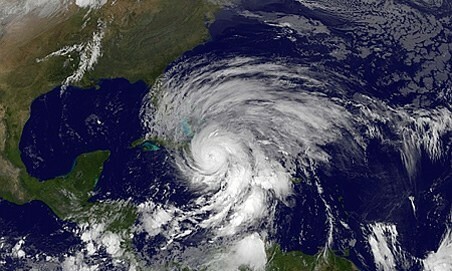 You guys are getting the landfall it looks like - please stay safe and I hope it's not as bad as the hype! Yep, according to weather.com we are now in the "action" area for Sandy. I have no idea what that means- be prepared to lose power? Be prepared to get flooded? Anyway, stay safe down there. I worry about horses and horse owners during these storms. Keep us informed. Did my earlier comment get lost- I'm thinking of you and hoping that Sandy passes you by lightly. Please stay safe!